We live in a fast-paced world. There are just so much things to do with such so little time! We all need the extra help we can get in order to accomplish what needs to be done. The good news is there are loads of software tools that can aid us with our everyday tasks. Now, efficiency is within reach! If you are the type of person who tends to lounge doing unnecessary things or obsess too much doing one task, then you need a tool that will remind you of your daily efficiency. Yast can be the answer to your problem. It is a tool that helps you track the time you spend on various activities may it be connected with your work or plain leisure. All you need to do is sign up for free and you can enjoy its wonderful features like plotting a chart on how fruitful your day is. Another important tool that busy professionals need is one that keeps track of daily schedules. Doodle.com is a virtual assistant that does not only keep track of your daily schedule but also automatically tells you when you are free to schedule your next meeting. What’s also cool about this tool is you can connect your schedule with other business partners to easily coordinate when your meetings can be set. All these features can be used for free. Who said having an assistant is expensive? Now that your daily schedule is set, it is time to promote your business. An easy yet cheap way to do this is to use Getresponse. This tool helps create colourful newsletters that may contain new products or new promotions that your business offers. With Getresponse, you can automatically send out newsletters to your target clients via email and track their responses easily. Your newsletter can also be linked to your Facebook and Twitter accounts for more views. Another popular favourite when it comes to productivity tools is Evernote. It is an application that syncs with computers and phones to save all files to a cloud. Evernote makes jotting down ideas easier before they are forgotten. Evernote has a lot of features like being able to jot down notes, take photos of whiteboards, record voice memos and organize everything right on the comfort of your phone. If you have clients across the state or abroad that you need to meet with, then you can use Uberconference. This tool allows you to make a conference call with up to ten people for free. The calls can be recorded and can be played back for documentation purposes. When you need to constantly exchange written documents with clients across the state or abroad, then you can access Hellofax. 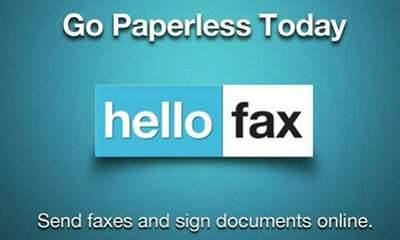 This tool allows you to transmit and accept fax messages online. This can save you from using thermal paper because you do not need to print out written documents. All these documents can be seen online. Hellofax can also save a lot of time because you can send to multiple recipients at one click. Finally, all documents you receive are automatically saved to your cloud device so you do not need to worry about your hard drive capacity. Another way to share documents and files without loading your hard drive is by using Dropbox. This tool securely stores and safely shares your important files with your clients or colleagues. Files saved in Dropbox can easily be accessed from any computer or mobile devices which mean you do not need to bring your external drive wherever you go. If you need to create a document and save it online, it is best to use Googledocs. This tool lets you create and manage a document file that can also be accessed by multiple users in their remote locations. It is best to use this tool when you manage a team from different locations. Social media has played a big role in brand marketing, and it’ll be quite tasking to do live posting on these accounts if you have not only 1 or 2 but many accounts to post into. This is where scheduling the updates for your social media channels becomes important, and here is where Buffer comes into the picture. Buffer is perfect for those with busy schedules as it lets you integrate multiple social media profiles into one Buffer account. It also schedule posts from several different accounts at once. Lastly and most importantly, since you are too busy meeting your deadlines you might forget to take note of your budget. So that you will not go bankrupt while you take care of your business, you can use Nerdwallet. This tool helps you make important decisions regarding your spending powers. It advises you when a purchase or investment is good or not. Since Nerdwallet relies on real-time data, you can be assured that its suggestions and recommendations come from valid sources. There are many more tools available online that you can download and use for your convenience. All these tools are just aids; it will not do everything for you. Remember, you are the driving force of your career. These tools are just available to give you better focus and direction so that you can achieve your goals sooner. Mozilla is known as a large community of builders, thinkers and technologists from around the world. Its projects have always been user-oriented. Mozilla is best-known for its extremely popular Firefox, Thunderbird and FireZilla projects. However, it is also developing other project such as Persona which provides users with a much better and easier way to sign in to various websites. 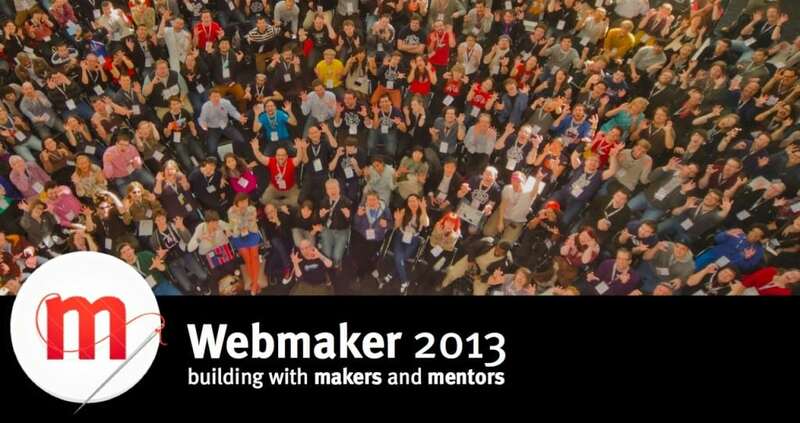 Mozilla has also launched a new project recently, called Webmaker. This seems like a very promising thing with a big future ahead of it. Webmaker is again made with users in mind and it aims to help people create cool things on the web regardless of their coding knowledge. According to their own words, the idea is to help people understand how the web works and use that knowledge to make a web with no limits. But what does Webmaker offer? Have you even clicked the right button and then “Inspect Element”? This tool is similar, except it shows you the elements of any web page in real time when you hover over them with your mouse. Needless to say, you can edit each of those elements to your liking and even publish the page that you have edited. Thimble lets you create your own HTML web pages and work on the CSS right from the browser in a quick and easy way. It shows you the results of the code you are writing in real time and you can host and share all of your projects with a couple of clicks. With Popcorn Maker, everyone can edit web videos, images and audio and embed the end product anywhere they like. You can use this tool to drag and drop all kinds of content from around the web, combine, cut and skip parts of videos, add different layers of audio and much more from your browser. Perhaps the best of the 4 tools, Appmaker allows you to create your own mobile apps with simple drag and drop actions. This is extremely easy to use even if you have absolutely no coding knowledge at all. With this tool you just drag different “bricks” from simple headers and buttons to more advanced chat rooms and media players and drop them on the screen of a mobile device. It’s as easy as that. Webmaker offers much more than just 4 tools. People who want to learn or learn how to teach can use the many available resources which include useful and easy to understand information about web mechanics, security, design and accessibility, coding/scripting, collaborating, sharing and more. On the Events page of the Webmaker website people can find out about different events around the world and how they can join. Currently there are 2,098 events and you can either search for one or create one of your own. These events are also known as Maker Parties and they are all about celebrating the web. People who join such Parties will be able to learn anything from making a video on the web to why privacy matters. Overall, Mozilla has started another great project and we can only imagine what it has in store for us. Webmaker is already a lot of fun and offers people with minimal or no coding knowledge at all to learn something new and basically to understand the web.